A proposal calls for the brick to be stripped from the old Moran Plant, leaving a steel skeleton to frame concerts and other gatherings. New Vision for Crumbling Industrial Site in Vt.
Jack Thurston reports from Burlington, Vt., where there are plans for transforming an old industrial plant into public space. A remnant from the industrial past of Burlington, Vermont may get transformed into vibrant new public space. 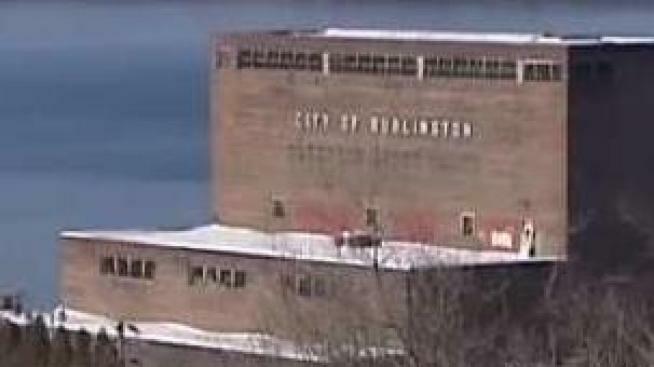 “We are going to add value to what we keep,” pledged Mayor Miro Weinberger, D-Burlington, describing new plans to dramatically renovate the Moran Plant on the city’s waterfront. The Moran Plant has loomed large on Lake Champlain in Burlington since the 1950s. It was a coal-burning electricity generator that belched smoke, long before the city’s waterfront beautification. Obsolete by the 1980s, it’s been crumbling, rusting, and vacant since, save for visits by graffiti taggers. This week, new plans were introduced to the Burlington City Council to transform Moran into what some have termed a “ghost structure,” with the building’s brick mostly stripped away, leaving just a steel skeleton. It will frame a venue for concerts, art shows, food festivals and more, with eateries, shops, and a skating rink possible down the road. “More community space can be a good thing, as long as it’s not detracting from the natural beauty of the environment,” said Matt Bouchine, who works in Burlington. The latest vision is another in a long series of proposals for the Moran site, across several city administrations now. The many starts and stops to redevelopment ideas have some people, like Peter Giampaoli, saying they’ll believe it when they see it when it comes to a Moran renovation. Mayor Miro Weinberger, D-Burlington, acknowledged the skepticism, but said this time, the project is more achievable and affordable than prior attempts. Weinberger told necn this transformation would cost about the same or maybe even less than demolishing the plant, and without a big hit to city taxpayers. He explained that more than $5 million in earmarked money is available from a 2014 waterfront improvement vote, and the mayor wants to use it to create what he calls a “distinct” landmark that, over time, could become an icon for Burlington. Weinberger noted the city will want to move fairly quickly with this new proposal, because that money that’s already set aside to redevelop the site must be bonded for use by the end of 2019.